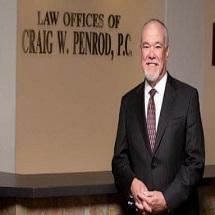 Law Offices of Craig W. Penrod, P.C. MoreWhen you are hit with criminal charges, it is confusing to know where to turn. At the Law Offices of Craig W. Penrod PC, we help people in Tempe, Chandler, Gilbert, Phoenix, Mesa and other areas in Arizona. Craig Penrod is a Certified Criminal Law Specialist and as a highly experienced criminal defense team, we are genuinely concerned with learning your side of the story in order to provide the best representation possible. We are not afraid of serious allegations and never lose sight of the...When you are hit with criminal charges, it is confusing to know where to turn. At the Law Offices of Craig W. Penrod PC, we help people in Tempe, Chandler, Gilbert, Phoenix, Mesa and other areas in Arizona. Craig Penrod is a Certified Criminal Law Specialist and as a highly experienced criminal defense team, we are genuinely concerned with learning your side of the story in order to provide the best representation possible. We are not afraid of serious allegations and never lose sight of the fact that you are innocent unless proven otherwise. Although it feels as if the odds are stacked against you after being charged with a crime, the bestaction you can take to get in control is hiring a law office you trust. When you are able to talk openly with your legal team, you leave room for few surprises in court. If you have been charged with a DUI, for example, we have over 40 years of expertise in challenging the validity of breath and blood tests, as well as protecting your constitutional rights. When it comes to defending you against criminal charges, no case is too intimidating for our team at the Law Offices of Craig W. Penrod PC. Because we believe you are entitled to expert counsel, we are pleased to offer a free initial consultation. Additionally, we accept credit cards should you choose to retain our services.